We are so excited to share this Instant Pot Chicken Provençal recipe with you. This recipe literally comes to gather in about 40 minutes, and the presentation and flavor is truly special. This tastes like a dish you would get a really nice French brasserie or even upscale restaurant. It has become, no kidding, our favorite IP dish…to date. Searing the chicken pieces in the IP couldn’t be easier. To ensure beautifully golden skin, be sure to pat the skin very dry with a paper towel and then make sure the oil is hot, but not smoking. Don’t overcrowd the pot, which means you’ll need to sear them in a couple batches. 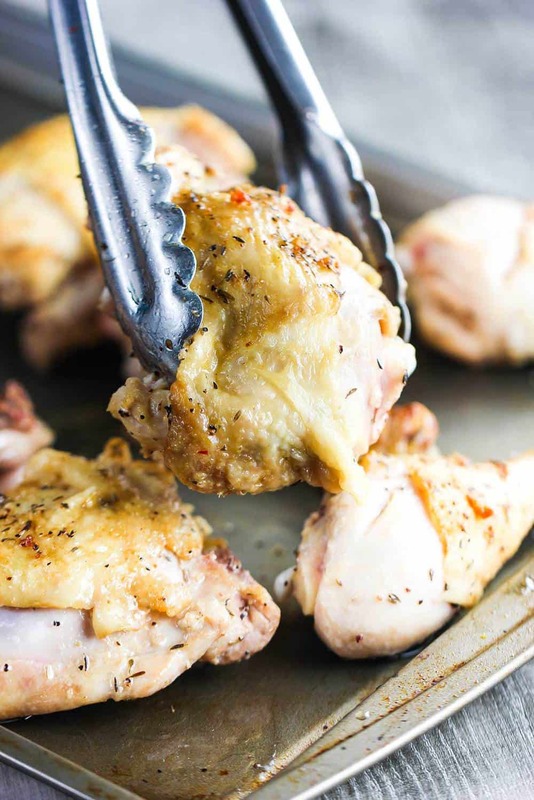 Searing the chicken creates a super delicious crisp texture on the outside and a tender, moist bite on the inside. Chicken perfection! 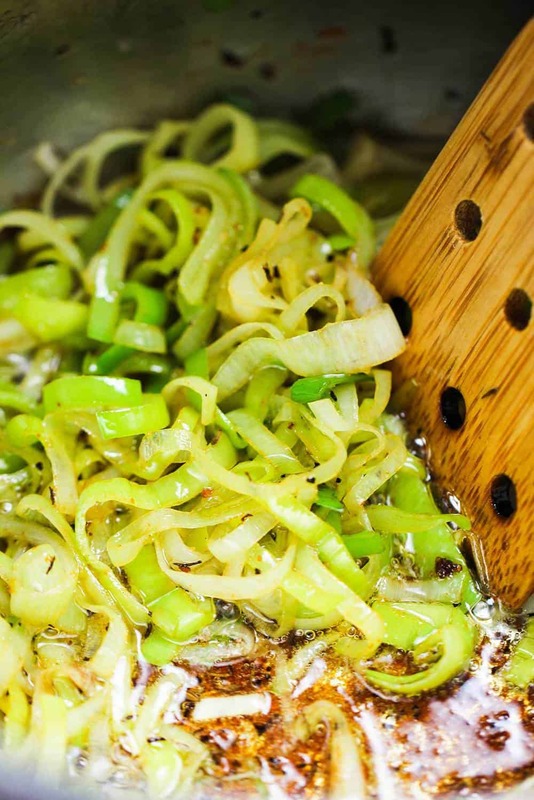 We tried several different aromatics to enhance the flavor of the dish, and we feel that thinly sliced leeks are the best. Leeks cook down beautifully and are the perfect match against the slightly salty cooked pancetta. 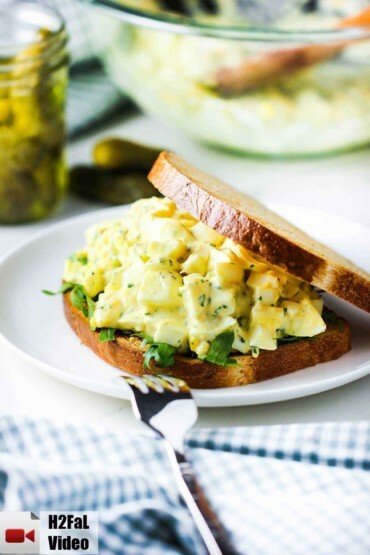 This is one of those dishes that when you take your first bite, you will find it amazing that it all came together in only 45 minutes. It is so good and luxurious, your guests and family will find it hard to believe you didn’t spend hours to create it. All thanks to the amazing Instant Pot, this incredible dish actually comes together a fraction of the time. 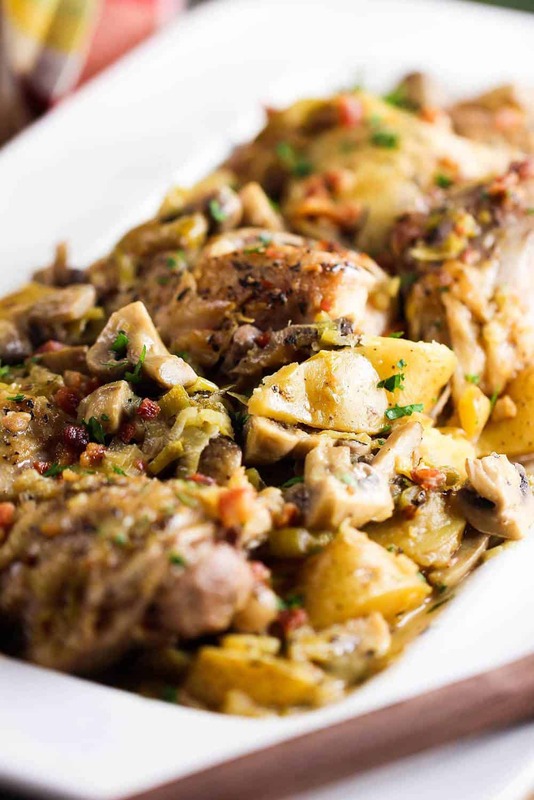 This dish is reminiscent of the classic French dish Coq au Vin, but instead of slow braising in a robust red wine, we went with a lovely dry white wine. Mixed with Yukon gold potatoes, mushrooms and herbs, you have a dish that simply cannot be beat. 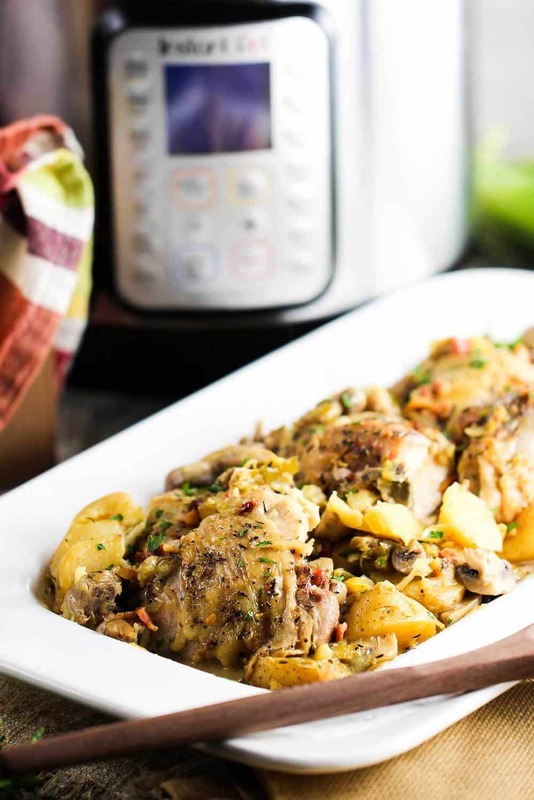 The Loon, as he is known to do from time to time, pronounced this Instant Pot Chicken Provençal recipe as his #1 favorite IP recipe to ever come out of the H2FaL kitchen. He said it’s actually one of his favorite dishes of ALL-TIME to come out of the H2FaL kitchen. Now that’s saying something. (I have to agree with him). 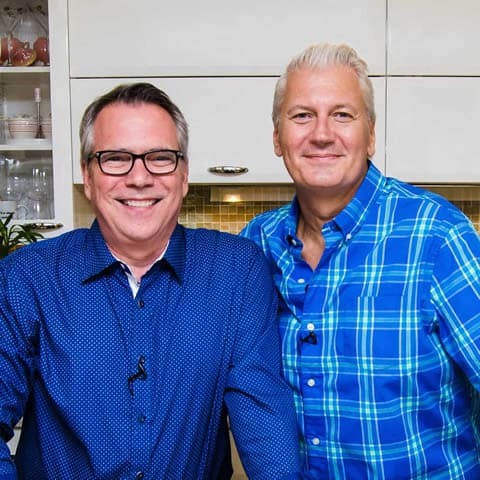 Now, get ready to make one of the best dishes you will have had in probably a long while! 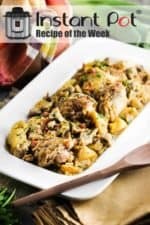 Make this amazing Instant Pot Chicken Provençal recipe! This Instant Pot Chicken Provençal recipe has instantly become a household favorite. It only takes about 45 minutes from start to finish, and yet it tastes like it has slowly braised for hours. The taste and texture cannot be beat. This is hands down one of our favorite dishes. Give it a try, we're pretty certain you'll feel the same way! Select SAUTE on your Instant Pot and set to the Normal setting and add the oil. Once hot, add the pancetta and cook until beginning to crisp and the fat has rendered, about 6 minutes. Transfer to a paper towel-lined plate and set aside. Meanwhile, pat the chicken dry with paper towels and then season all over with the thyme and salt and pepper. Working in batches, place the chicken, skin side down, into the pot and cook for 4 minutes and then flip and cook for another 4 minutes, or until nicely browned. Don't overcrowd the pan! Transfer the seared chicken to a rimmed baking sheet. Add the sliced leek with a 1/4 teaspoon salt to the pot and cook until soft, about 3 minutes. Hit CANCEL and then add the wine. Now, hit SAUTE again, but now set it on More (this is done by pressing the SAUTE button until you see More). As soon as the liquid comes to a boil, hit CANCEL and then select SAUTE again, and then set it back to Normal. Simmer for 5 minutes and then hit CANCEL. Add the pancetta, potatoes, mushrooms, and chicken to the pot. Secure the lid into place and then select MANUAL or PRESSURE COOK at High Pressure for 8 minutes. Once cooking is complete, release the pressure by using a Quick Release. Carefully remove the chicken and place on platter with the vegetables and some of the sauce poured over the top. Garnish with chopped parsley and serve with remaining sauce on the side.